Life After Death Experiences – Does the Universe Loop Back on Itself? In the book, “Demystifying the Out-of-Body Experience” by Luis Minero, he explained the concepts of “Thosenes,” “Holothosenes,” and “Morphothosenes.” While, I’ve written about Luis Minero’s ideas in another article, to summarize briefly here, a Thosene is a combination of a thought, energy, and emotion. Holothosenes are thought clouds that surround a person or can energize a space. Morphothosenes are collections of holothosenes that beings of a particular realm of existence use to create their reality. So in other words, the thought cloud of all the beings who have lived on earth is the morphothosene or “universal pattern” that we use to create reality. In the Seth books by Jane Roberts, information about the nature of reality is provided by a channeled entity Seth about the nature of the universe that seems appropriate to this discussion. To mirror Luis Minero’s “thosenes,” in Seth’s terms, this smallest unit of consciousness is called simply a “consciousness unit” or “CU” for short. Seth says that CU’s surge into our universe through infinite minute sources. The CU’s operate as both black holes and white holes, with energy both appearing and disappearing at a constant give-and-take. In one of my deepest meditative experiences, I traveled to the Akashic Field during an out-of-body experience by passing into what appeared to be a black hole. I refer to this phenomena at the center of a galaxy as a tornado-bathed-in-light. It seemed to possess a form of spiritual gravity that was impossible to resist. During another part of this same meditation, I found that I could leave my body by following the Chakra energy that was flowing from the atoms that made up the cells in my body. At the center of the atoms was another tornado-bathed-in-light that was the source of the Chakra energy. To explain it another way, energy was leaving the universe through the black holes at the center of galaxies and appearing into the universe from the white holes at the center of atoms. This idea seems to fit with Seth’s explanation of CU’s. Going back now to the title of this article, “The Universe Loops Bath on Itself,” my focus is not just on the idea of a spherical universe that curves space-time back on itself, but instead on what it feels like to exist within a universe composed of consciousness units that come and go from white holes and black holes. In my mediations, I was able to loop back and forth between our physical reality and the Akashic Field by passing into the tornado-bathed-in-light at the center of a galaxy and then returning to physical reality as Chakra energy being emitted from the tornado-bathed-in-light at the center of an atom within a single cell in my body. So to me, the universe does loop back on itself from a macro and micro perspective. 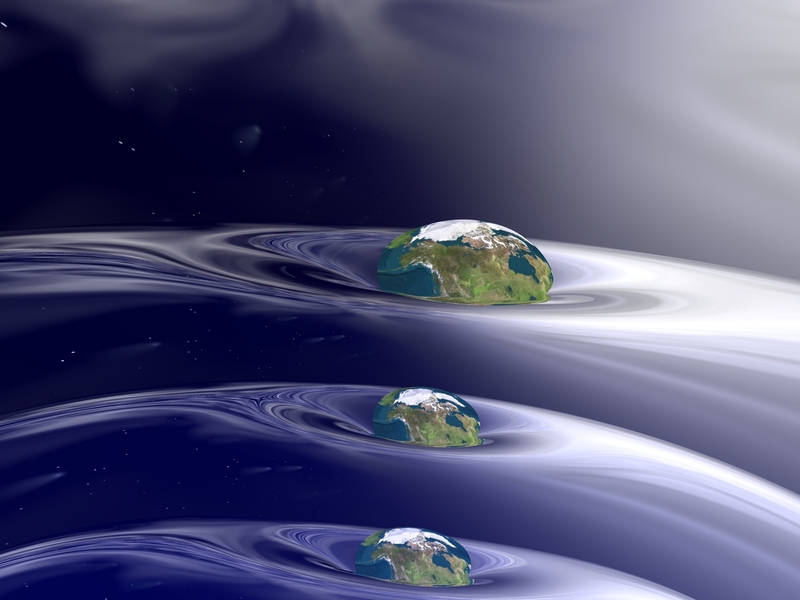 By Kevin Wilson|January 20th, 2014|Black Holes, Parallel Universes|Comments Off on Does the Universe Loop Back on Itself?